At Cheetah Outreach big personalities come in small packages, like Legacy, the loveable serval cat and her kittens, Malaika, the feisty caracal and those little meerkats with boundless energy, Sebastian and Minki. But it’s not just the old favourites from season three this time. 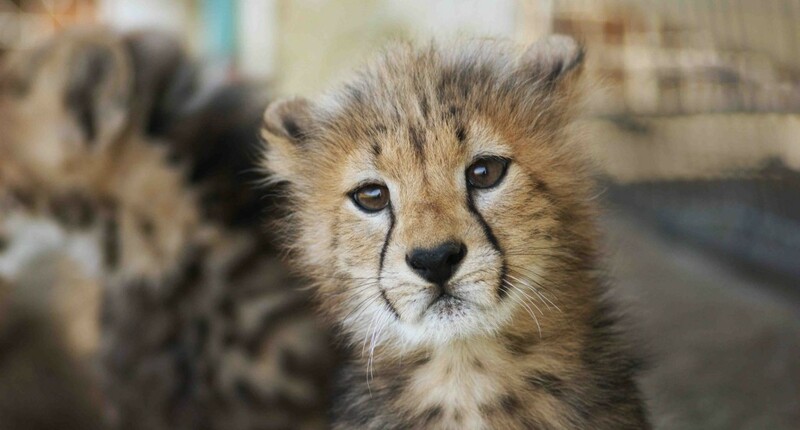 Experience the exciting arrival of a whole new gang of cheetah cubs, Anatolian shepherd puppies and bat-eared fox cubs. Who will be crowned the cutest of them all? With so many cuddly youngsters, it’s hard to decide. Find out what happens to star ambassador Joseph, and why young Chobe chews his tail off. Watch how the glamorous founder Annie Bechhelling takes challenges in her stride, from a big move to new facilities and a flood-induced landslide to the death of one of her favourite cheetahs. Share the ups and downs, the heartache and joy of The Cheetah Diaries, a ten part series that will leave a paw print on your heart. 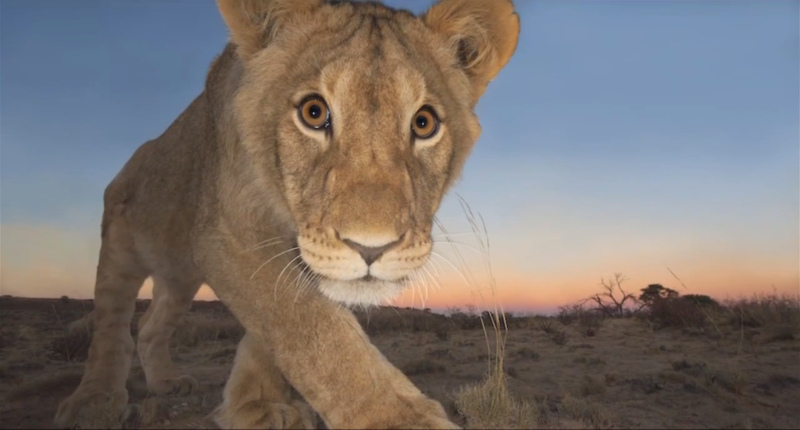 One of seven promotional shorts on the Wildlife Photographer of the Year Winners for Nat Geo. Hannes Lochner was the joint runner-up in the Animal Portraits category of the 49th Annual Wildlife Photographer of the Year Competition with his image Curiosity and the Cat. Hannes has spent nearly five years perfecting his remote wireless technology to photograph intimate portraits of wild African animals, by night especially. In the Kgalagadi Transfrontier Park in the Kalahari, South Africa, he set up one camera near a waterhole, hiding it from lions especially, which might play with it or carry it off. On this particular evening, he was settled in his vehicle, just as the sun was setting and the dust in the air creates a special kind of Kalahari light, when a pride of lions arrived. By repeatedly clicking the shutter, he coaxed the ever-curious cubs forward. This bold individual gazed into the camera lens as it stepped forwards to sniff the strange object. ‘All the camera settings were on manual,’ explains Hannes, ‘and I had pre-focused. So I could do no more than hope I had judged the lighting and angle correctly.’ He had done so, capturing the intimate portrait and the eye-contact he was after. 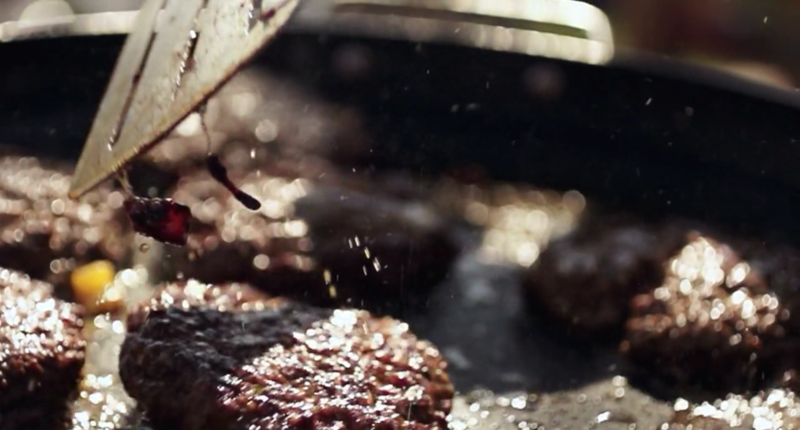 Bush Cook Guru and host, Justin Bonello, along with Judges and Executive Chefs Bertus Basson and Marthinus Ferreira, is back in South Africa’s toughest outdoor cooking competition, and this year the stakes are even higher! Sponsored by Pick n Pay, Season two’s top 15 teams travel to the heart of Zululand, where the competition begins. From here and for 60 days contestants have to travel to 13 off-the-beaten track locations covering 8000kms of backroads to the most unexplored nooks and crannies all across South Africa in a braai-inspired road trip that will change one team’s life forever! But this year’s competition is fierce and before the hopeful braai masters can get their braai-singed fingers on the money, the Renault Koleos 4×4 and the title, they have to survive what Justin, Bertus and Marthinus have in store for them…but it’s not going to be easy! Teams who can’t stand the heat will face elimination, which could see their dreams quickly turning to ashes if their road trip comes to a premature end. Jacqui, Alex, Dani and Roche are back by popular demand! Since the successful first season of Charly’s Cake Angels, the bakery has grown bigger, better and even busier! From a newly renovated shop, new faces and an ever-increasing demand for their ‘mucking afazing’ cakes, Charly’s Cake Angels is a visual feast that bursts with colour and exciting eye-boggling and decadent creations. Once again viewers are invited to follow the Angles down the rabbit hole and into a world that grows curiouser and curiouser every day. From gigantic cakes, scary cakes, the usual (and unusual) wedding cake orders and a bakery jam-packed with “Eat me!” cakes, see your favourite fearsome bakery rise to the challenge and lead viewers on another journey in to the heart of Cape Town’s favourite bright pink building. The promise, the frustration, the arguments, tears and laughter are all ingredients that go into making magical cakes and another unforgettable series. 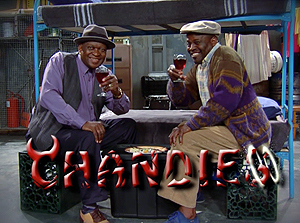 Chandies is a colloquial term that means “trouble” and is also the name of the new sitcom series on Mzansi Magic (DSTV channel 107) where a naive church community takes in two inept, desperate conmen who repay their new family by taking them for a not so joyous ride. These two conmen are on the run from a microlender in Johannesburg, Paddido (Patrick Shai) and Daliza (Darlington Michaels) – two conniving if not convincing gangsters, arrive at a church for sanctuary. 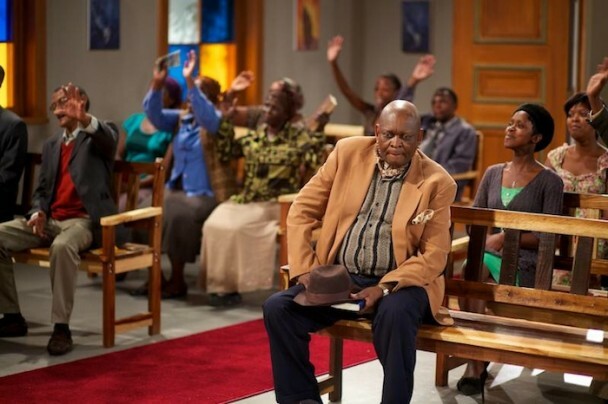 After convincing Pastor Tumelo Mofokeng (Lesedi Mogoatlhe) that they are two God-fearing citizens in need of some help, she offers them temporary refuge. They in turn see her as their meal ticket –giving them access to a congregation full of potential targets. 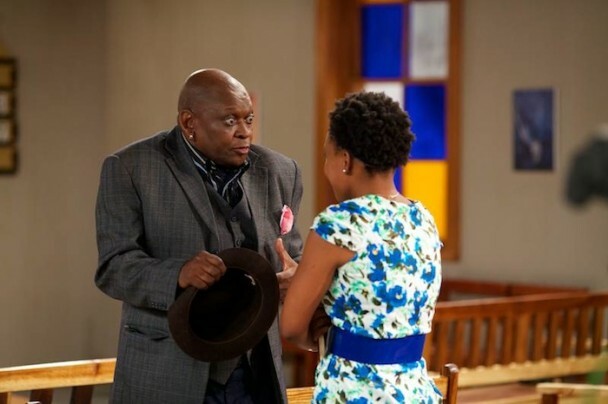 Unfortunately their efforts are hampered by their overzealous and perpetually sceptical niece, Dorothea (Tina Jaxa), whose daughter Limpho (Kertrice Maitisa), a sassy smart teenager, has her own wry way of interrupting the conmen’s plans. 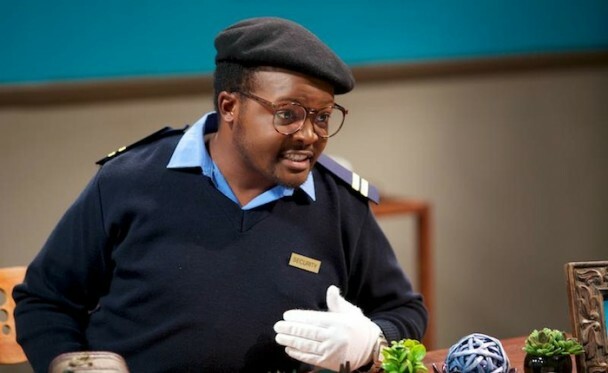 Another character in the Chandies family is Mac (Macintosh) Kunene (Richard Tafane). He is the security guard at the church. He often becomes the unlucky scapegoat and guinea pig to many of Daliza and Paddido’s schemes. 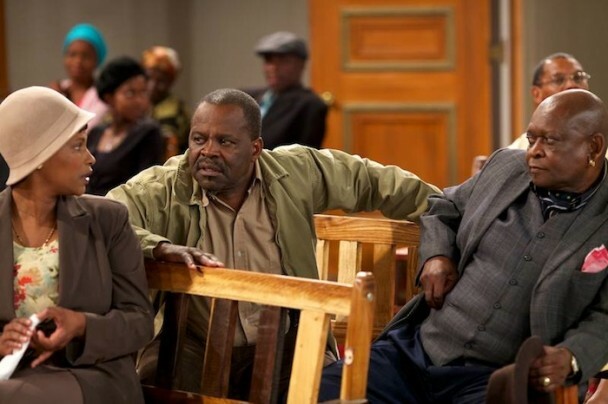 Montana is a long-running drama series chronicling the lives, loves and aspirations of a diverse group of characters living in the Western Cape. 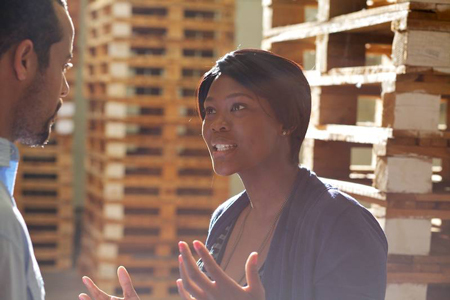 The series is set in a district near Cape Town where the inhabitants from different backgrounds and demographic groups were historically segregated into separate worlds by the rule of law. But now, with these geographical and political boundaries no longer enforced, their lives become intertwined and their destinies inextricably linked. Montana chronicles the tangled lives of four families who live in and around this melting pot district. 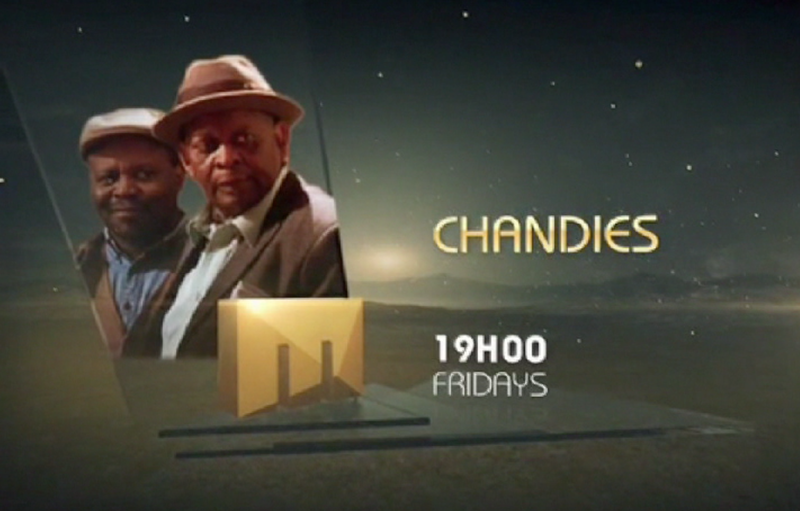 The love triangle between Victor (Charles Tertians) , Nolitha (Zikhona Sodlaka)and Lwazi– also known as “Sparks” (Anelisa Phewa) heats up this season as secrets of the past come to light in scary ways… and as always have an effect on the whole Montana community. Who will Noli choose – the dangerous passion of her affair with Lwazi or the pure, romantic love she shares with Victor… or can she have both?In this second season of Montana, new, colourful characters join the already star studded cast.